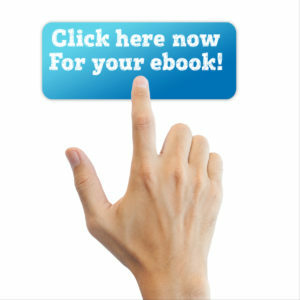 Download this Ebook click here! When it comes to Life Insurance there are several options Whole Life, Universal Life, Index Universal Life, and Term Life Insurance (For more definitions on Life Insurance Click those terms for further details). We see far to many situations with regards to not having adequate plans in place in the event of pre-mature death. We jeopardize the very future of the loved ones we worked so hard to create. Leaving despair and devastation not only of the loss of us, but the financial impact that we burden those we love with. Having a Life Insurance Policy even as small as a 10 Year Term can make a HUGE difference! Let's face it, we love our families, and they love us! We want the very best for them, and yet we are trying to protect our future as well. The confusion of Life Insurance is sometimes overwhelming and we know that here at Lademan Insurance Agency. Founded back in 1947, we have seen so many people over the years impacted by both situations some had plans, and others far too often have a lack of planning in place. So what do you do now? Get a Life Insurance Policy (TERM LIFE) at the very least! 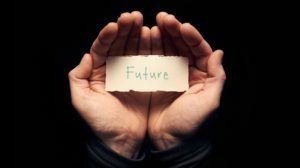 Last only for a designated term of time, some question this as a benefit, however it buys you time to make a more strategic plans as it pertains to your future. When we are younger, we have a laundry list of Liabilities with House Debt, Student Debt, Car loans, couple that with the cost of a family, along with college planning for the little ones. 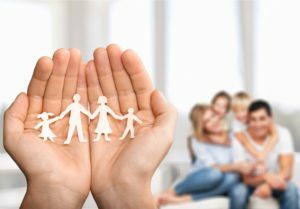 As we get older (hopefully with the right dedication and planning) our children are stable on their own, no house debt, no college debt, tuition for the future has been paid, and little to no car debt so our liabilities are minimal allowing us to plan a more complex Life Insurance Strategy. As for now however, with so many options and discussions to take place, grab a short term life insurance policy and protect the future of those you love so much. Leaving their financial security in a position to depend on others such as Go Fund Me accounts or local dinner fundraisers (although great things and have made huge impacts) that should not be the only thing left behind for them to depend on. We at Lademan Insurance Agency and InsuranceNick shared this information because we care. Today, InsuranceNick and DownriverJeff (follow on Facebook) sat down for a cup of coffee and enjoyed learning so much more about the professional services provided by Two Men and A Truck located in Brownstown MI. Established in the late 80's by two brothers who were college students looking to earn some side money was no accident. The boys went back to college and had established such a reputation that the home phone did not stop ringing. Mom jumped into action and with the boys support launched what we know today as Two Men and a Truck. Now with over 450 franchises, they are a household name. Heck, I have used their services personally now over 4 different occasions having a great experience each time. Long distance moves and travel, short distance moves, and even on location moves. So if you have a whole house, their professional team can come in, pack up, secure, load, unload, and place back into location of the new home. Their team is even equipped to do short transit moves even within the same city, not to mention if you just need a hand around the house for an upcoming remodel and you need items moved out or around, they can help! You will be greeted by a local voice at the Brownstown location, you can provide the estimated room size or even the estimated size of the furniture that you are moving. The staff will provide you an estimated time of move along with the cost. Your request for services will be followed up with the day prior to verify if there are any changes, and the leader of the field team will contact you by phone with their arrival time to confirm with you. Once there, the team jumps into action taking great care of your items as they prepare for your move. When complete, the field team lead will walk through the move making sure there are no concerns regarding the services provided, and will make sure you are satisfied with their performance. This quality of service is what has allowed them to achieve and unheard of referral source now for the last 10 straight months of 100% . They have done a great job helping families, so rest assure they are a top notch choice to call on no matter how large of a task you have! When you call, tell them that InsuranceNick and DownriverJeff sent you! Well we all woke up to some "not so good news" today. Michigan House Leaders voted down the proposed Auto Insurance Reform last night. With a supporting vote of 66% republican and only 9% of the democrats. Don't let that number be too alarming, this is the first time that we have been only 10 votes away from a different outcome. The fear overall however was that consumers would not understand the full impact of having capped medical care versus unlimited. Until the changes are in place to protect Michiganders, the Democratic party could not weigh in on support. This is a huge concern, which Mayor Mike Duggan also exposed in previous months on the House Floor. Medical expenses need to be controlled with a FEE SCHEDULE. The cost for an MRI with Medicare just under $500.00, if you have a work related injury the commercial insurance schedule pays out just under $900.00 for the same MRI test. If however you have an injury due to a vehicle related injury that same MRI test averages just under $3,500.00. These costs are then distributed out across to the pooling of money of the insureds within the state of MI. This auto reform proposal did not accurately address these concerns, in stead placed the ownership of medical coverage as an optional endorsement to you auto policy either selecting unlimited medical coverage, or limited medical coverage with a cap on medical expenses, and never addressed the lack of a FEE SCHEDULE. The House Minority Leader Sam Singh of East Lansing who backs separate bipartisan auto insurance legislation, said the bill has "Many Flaws" and "Forces people to go into bankruptcy to continue to get access to their health care services". Had this bill passed however this would still have been put to scrutiny at the GOP-controlled Senate which leaders oppose government-mandated premium reductions. Please take the time reach out to your local leaders and open a discussion regarding the cost of insurance within the state of MI and ask for feedback as to the direction we are headed. Michigan Auto Insurance Premiums are #2 in the nation, Detroit is #1 in the nation overall in cost, but our neighboring state remains #45 with overall costs (Ohio). Not participating in the No-fault system, and the auto insurance is built on a totally different platform. Not suggesting we need to scrap No-fault by any means, however something needs to be done to help reduce some of the overall costs for families. resources used from today's youtube snip and other discussions noted can be found in this article tagged "HERE" that was published by WXYZ channel "7" Detroit. Previous noted article regarding MRI health care expenses documented by MLIVE can be found "HERE" . Today, InsuranceNick and DownriverJeff had the pleasure of sitting with Robert Sawyer from GILIFT.com, GIGRUB.com, & GIHOP.com servicing Grosse Ile, Trenton, Wyandotte, Riverview, Trenton, Brownstown, Woodhaven, GIbralter, Southgate, and other surrounding communities. The GILIFT.com team operates on a system similar to Uber and other rideshare programs, where you can request a ride to or from a location by one of its trusted drivers who are contracted to represent the GILIFT.com team. Robert's story is simple, we all know that services in the downriver area south of Detroit are sometimes difficult to get due to the nature of our setting, Robert realized that this was an issue and quickly jumped into action and founded the GILIFT.com platform providing services to the local community. Since inception December of 2016, they have quickly grown to a household name in the local community. You may also recognize Robert Sawyer from his Facebook Live announcement videos of the services provided along with the addition of GIGRUB.com. GIGRUB.com provides delivery food services from 5 of the local restaurants Truago, Smokies on the Water, Lloyds Bar and Grill, Hoy Pan, and UME ASIAN Cuisine (Sushi). GIGRUB.com vehicles are featured with the necessary tools to keep your food hot, fresh, and on-time for a small fee. Watch the video for the announcement of additional services that GIHOP.com will offer in its pilot platform before rolling out to the surrounding communities. Robert was also one of the instrumental minds behind the Grosse Ile Bridge to Texas where supplies were loaded into a trailer and moved to Texas for those impacted by the severe hurricane damage. This amazing business is not just impacting our local community, but also those clear across the country. If you are in need of the services provided, rest assured you will be treated like family and friends and very well taken care of. Please feel free to share this information across any social media platform to help this business reach one step closer to a successful operation. Welcome to the Downriver Community! In this spoof about Life Insurance, you will find some hidden humor regarding the Alliance and some actual procedures when actuaries determine risk assessment. We do not suggest you go Rogue One on your Life Insurance Planning, but we do suggest you meet with a local professional to explore your options. Life Insurance with InsuranceNick can be used to protect your families financial security, provide your beneficiaries the ability to pay off your home, put money away for college tuition, pay off outstanding debt, and still have enough left over to provide a sizable income stream while your loved ones deal with your pre-mature loss of life. See Life insurance is a sound choice to protect those you love the most and preserve the quality of life you have provided for them. If you are under 40 years of age, add your Home debt (if you rent, pick an amount that would allow a comfortable long term home for your family say 200,000.00) + to the amount of credit card debt + what do you owe on any cars or trucks + outstanding college school loans + add to it $100,000.00 per child for college tuition for the future + your income (X) 10 years = quickly you can see that we have reached of are close to reaching the $1,000,000.00 mark to preserve your families quality of life. Now pick 10, 20, 0r 30 year terms of coverage. This option can best be determined based on your youngest child's age and how long they will be dependent on you for the future. If you happen to be over 40 years of age, then there are other strategies you should consider that could be a bit more permanent with life insurance. We suggest scheduling a meeting with InsuranceNick to discuss the options you have and how to plan for your future. To Schedule an appointment please click here now! Had the pleasure sitting with Mark Guzzardo one of the owners of Bierkeller Tavern located in the City of Taylor Michigan. Celebrating it's 3rd year, they have a host of events and daily specials that satisfy any craft or domestic beer enthusiast. They seat 90 inside with an additional 30 on their 3 season room Beer Garden area which can be reserved for private parties and or special events. The hospitality is superb due to it's incredible staff and team members who make up the atmosphere of Bierkeller. The community seating creates an opportunity to truly enjoy the newest of relationships of other enthusiasts from the crowd, and you will surely be saddened if you miss the DAILY 9:00pm community toast that is immediately followed with a daily special for that warm night cap. On your way out, be sure to snag one of their signature Stainless Steel Growlers that you can have refilled at a discounted price. The growlers hold 64 fluid oz of some of the more hard to find imported and craft beers from around the world. With this special growler unlike the glass kind of old, your beer will remain fresh long after your purchase so you can sip and enjoy your craft. If you have any questions, be sure to stop in and check them our of call and set your own reservations as you will be welcomed with open arms by the entire staff! Be sure to connect with InsuranceNick and DownriverJeff and see where their travels take them next around the community! 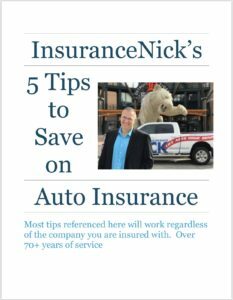 Today InsuranceNick is helping downriver and Southeast Michigan families understand some some simple tips to avoid costly insurance claims which can result in increasing Homeowner Insurance Premiums. Be sure to shut off all exterior water spigots around your home, you can also turn the cold water line to a slight drip to keep water flowing through cold exterior walls in below zero temperatures. Be sure to secure any loose shingles, gutters, shutters, and or siding. Leaving any part of your home exposed to the winter elements could really lead to some long term damages. This fall, be sure to clean your gutters from any debris so that your gutters are free to flow any water and avoid backing up in freezing temperatures. If your gutters were to back up, this can cause ice damning and can ruin the seal of your shingles and reducing the overall life expectancy of your roof which is obviously very costly. Hope you found this information helpful and please be sure to follow connect with me on all the social media channels listed below! If you would like to get a quote, please CLICK HERE NOW! We would love to help! Sat with Dr. Patricia Odette and Dr. Dan Corne to discuss the benefits of Chiropractic care and the services they provide for patients at their Brownstown Location. To find more about their practice, you can click "HERE" . Dr. Dan inspired by Dr. Pat when he was 14 years old to pursue his passion has led him into the profession as well as a partner within Dr. Odette's original practice of 38 years. The practice itself is designed for all ages of life, so do not hesitate to bring in all members of your family, their specialists can service your needs when it comes to your healthy future. Dr. Odette not only was successful as a business owner for 38 years, she also had a passion for working within her community and is now the Mayor Of Woodhaven so now she is also known as Mayor Odette aka Mayor Pat. We are proud of her accomplishments and she is an inspiration for others to follow her example either caring for others, animals, or serving of your local community. Each of us can make a difference! To follow Mayor Pat and the amazing things going on within her community, check out the city web site for upcoming events. Click HERE NOW! Teenage Drivers and Why do they cost so much? 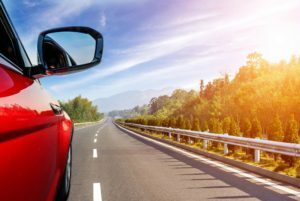 No secret that car insurance costs are high, but the addition of teenage drivers, our medical insurance costs, combined with the overall distractions around us is a recipe for HIGH INSURANCE premiums.